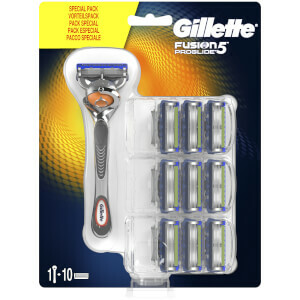 Explore the Gillette Fusion5 ProGlide razors and blades. 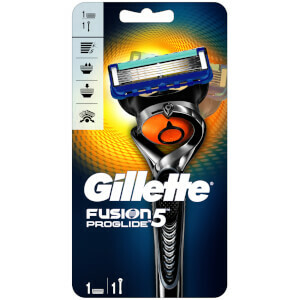 The Gillette Fusion5 ProGlide features FlexBall Technology and responds to contours for a great shave, even over the trickiest areas. 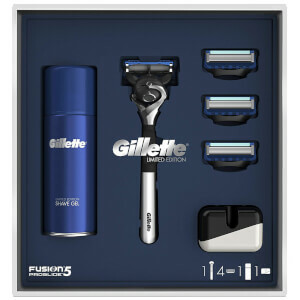 FlexBall Technology allows the razor to get virtually every hair. 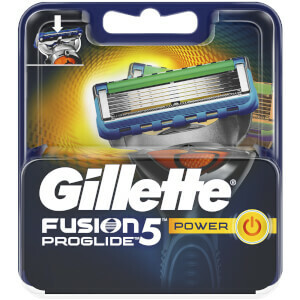 All ProGlide razors feature 5 anti-friction blades. 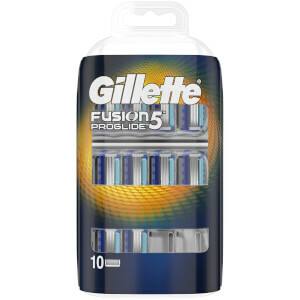 Reengineered low cutting force blades feature thinner, finer edges (first 4 blades) with advanced low-resistance coating to cut effortlessly through hair with less tug and pull (vs Fusion5). 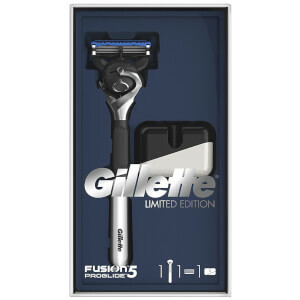 The razor's enhanced Lubrastrip (vs Fusion5) is infused with mineral oil and lubricating polymers. 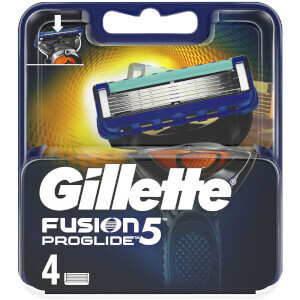 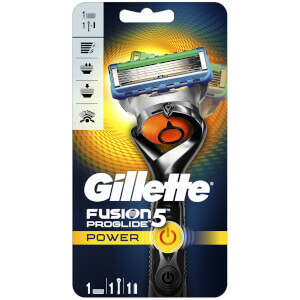 All Fusion5 razors fit all Fusion5 ProShield, Fusion5 ProGlide, and Fusion5 blades.